If those stills from the epic new Disneyland Paris TV spot whet your appetite and you’ve yet to catch the ad on any of the major broadcasters in the UK, we’ve got a treat. Produced by Motion Theory — whose past credits include Honda, McCain, Nintendo and music videos such as Adele’s Chasing Pavements — for the resort’s agency EuroRSCG, this spectacular advert combines live action footage filmed in California with all-new animation of Disney and Pixar stars. You’ll be seeing it for the next month across all the major TV networks. As well as this full 40 second version, you’ll see two 30 second versions and three 10 second spots, which we’ll be sharing soon! In the UK, the commercials are trailing a new ‘Save up to 40% plus Kids under 7 stay and play Free’ offer, a quite unexpected return to such heavy discounting — the validity period even running right up to 8th November. Pushed with such a professional and genuinely exciting TV spot, Disneyland Paris looks set to be making quite a big impression in the UK over the next few months, as it attempts to win back the visitors lost through the credit crisis and poor exchange rates. TV spots and advertising should launch outside the UK from next week, 8th March. 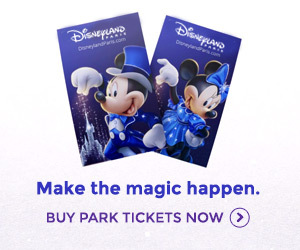 Perhaps apart from the Christmas ones, that’s the best DLP ad I’ve ever seen. Isn’t this like the first time any animation has been done *exclusively* for Disneyland Paris since the opening year ads? It reminds me ever so much of the flying star ads but on a much larger scale. Considering this and the new character renders from Pixar I wonder if Disneyland Paris has finally stopped getting the cold shoulder from Disney themselves? Also good to see the 40% offer returning! I gotta say the prices for staying in august are very apealling i just compared a 3 night stay at the cheyenne with a 2 night stay at alton towers hotel in the uk and disney is cheaper and a much better quality experience. And to add as brian pointed out ok your right but surely everyone knows what to expect at disney in rides and this is showcasing the newest additions with even though the negative hype from people on here it is and will be a great edition to the park and the kids and adults will love it.